The first night race ever to start in the rain in the history of F1, and it starts with a nightmare I wouldn’t wish on my worst enemy. Hot take: it’s all Vettel’s fault, yet completely unintentional. Also, Kimi’s and Fernando’s start from the grid had me screaming like a kid on Xmas morning! 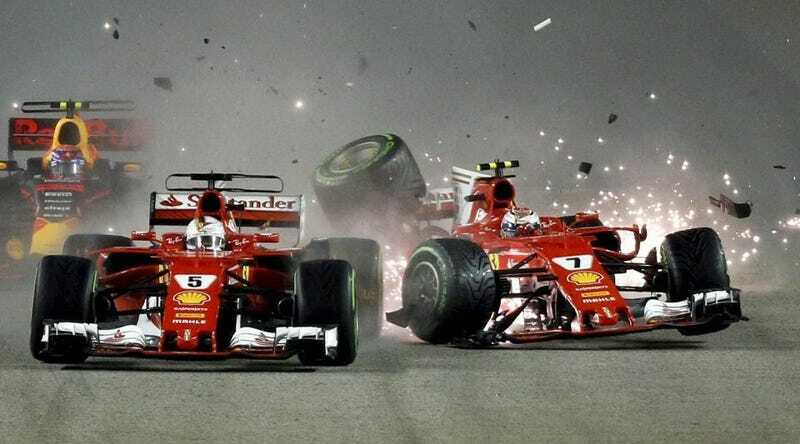 I hope Singapore never leaves the F1 calendar.